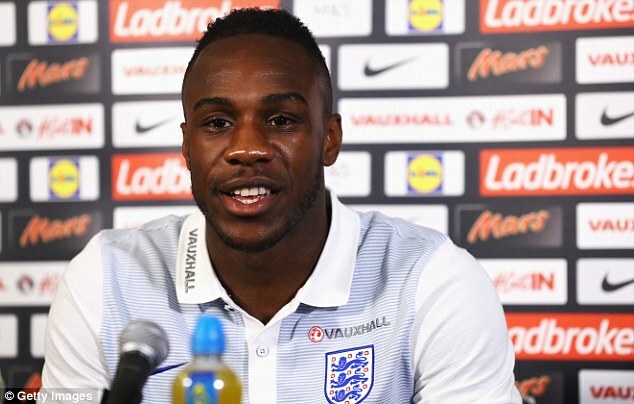 Michail Antonio wants his meteoric rise from non-League football to England selection to inspire his army of nieces and nephews. The West Ham player was still turning out for Tooting & Mitcham in the Ryman League in 2009. But seven years later, and via a convoluted route, Antonio is part of new manager Sam Allardyce’s first squad. ‘I have got 26 nieces and nephews and it is good to show them you can always do anything if you put your mind to it,’ said Antonio. ‘To pick someone like me from my background… it is a risk but the gaffer has shown his belief in me and now I have got to show it to the world. ‘One thing I have always believed in is to never give up. 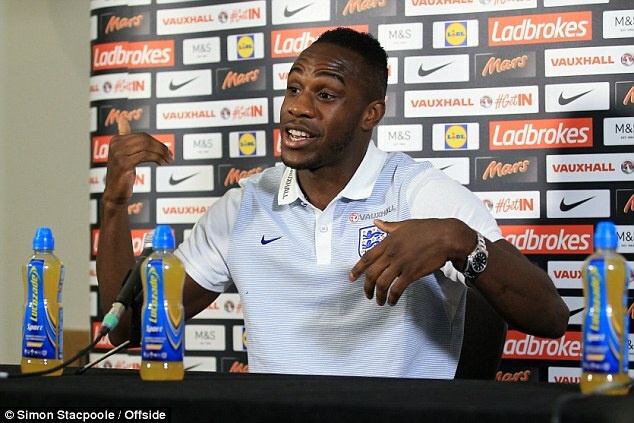 Allardyce has assured Antonio that his form for West Ham means he belongs in his international set-up. The 26-year-old has enjoyed a fine start to the new Premier League season. He has already scored twice for the Hammers, having reverted back to the wing after ending last season, and starting this, playing at right back. Antonio is the only uncapped player in Allardyce’s first squad but the former Nottingham Forest man has been assured by the boss that he is deserving of his place ahead England’s opening World Cup qualifier in Slovakia on Sunday. ‘When I first came and spoke to the gaffer I said I was very grateful for the opportunity. He said “there is no need to be grateful and that if you look at your stats and what you have done, you deserve to be here”. Antonio’s is the latest rise from non-League football to the senior England set-up following the similar path taken by Leicester striker Jamie Vardy. Former Tooting & Mitcham player Antonio had spells at Reading, Southampton, Sheffield Wednesday and Nottingham Forest before joining West Ham last summer. During his time in non-League he also worked as a lifeguard, something he describes as ‘one of the most boring jobs’, but he believes his tale can act as inspiration as he kept going until he reached the top. ‘Once I reach one target, I always search for another and I went from non-League to Reading. I kept going out on loan because I wasn’t getting much time at Reading. ‘Then I went to Sheffield Wednesday and then Nottingham Forest and I managed to get to West Ham, where I always wanted to be – the Premier League. 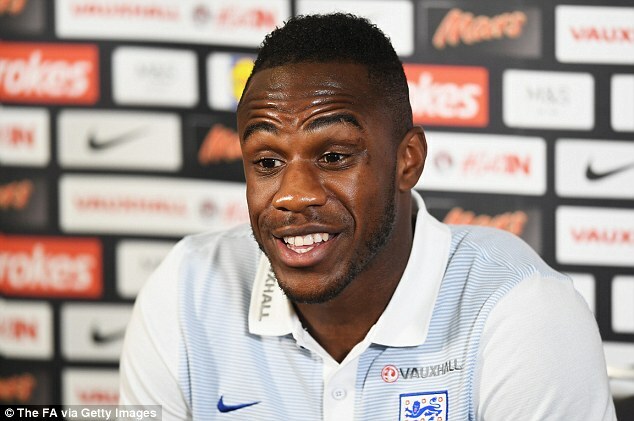 Antonio also revealed he thought he was being teased when he first learned of his call-up, as he returned to the West Ham dressing room after scoring their goal in a 3-1 defeat at Manchester City on Sunday afternoon. ‘It has been very emotional, especially when I found out,’ he said. 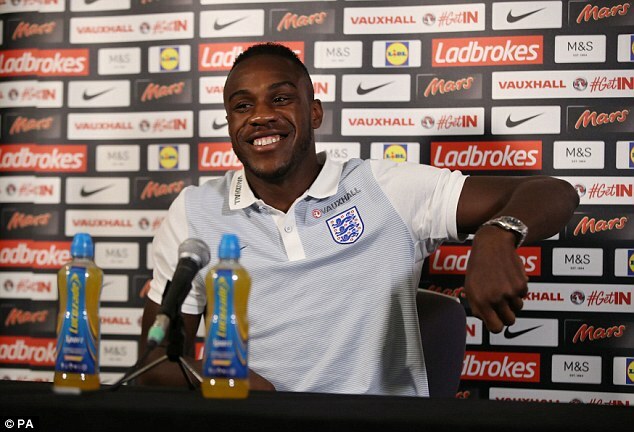 ‘It was a boyhood dream for me to play for England and the opportunity now by being called up is breathtaking. ‘I did an interview at the end of the game and I came in and the physio came over to me and said “you’ve been called up”. I said “good banter”, but I looked at him for a good 30 seconds and he looked at me.